"I love this season of celebration. In human terms, it is really the best season of the whole year. Rightly engaged, this season should be the most splendid, loving time of every year." 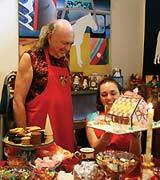 For many years, Naamleela Free Jones participated with Avatar Adi Da in the extraordinarily intimate and happy season of Danavira Mela — as He developed this sacred and celebratory period for His devotees. Over the years He transformed ancient holiday symbols and developed new ones to establish the unique Adidam celebration of Danavira Mela, the celebration of the Hero of Giving. "Dana" means "giver", "vira" means "hero" and "mela" means "celebration". Thus, for devotees of Avatar Adi Da, this period is a celebration of their Divine Master as "the Hero of Divine Giving". 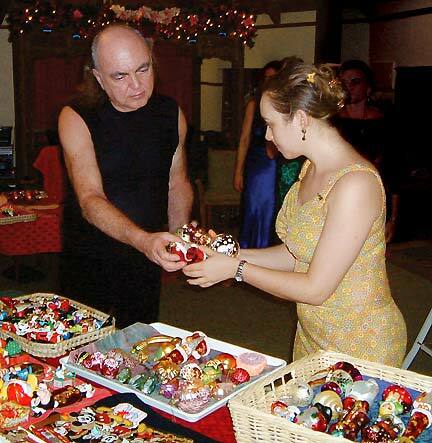 In The Danavira Mela Book, Naamleela Free Jones presents Avatar Adi Da's global vision and, with His guidance and direct Blessing, also shares many personal details as well as profound secrets about the celebration of Danavira Mela in Avatar Adi Da's Company. Naamleela has written about all of this from her unique perspective, in a fresh and accessible writing style. All told, this book is a delightfully intimate and highly accessible glimpse into the happiness and joy that Radiate from Avatar Adi Da to His devotees and to all beings, not just during the holiday season but in every moment and at all times. 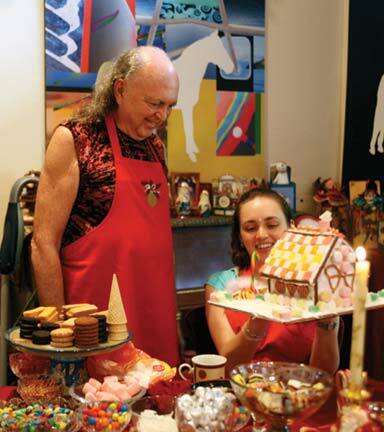 The Danavira Mela Book includes intimate photographs of Avatar Adi Da as a child and throughout the years of His Lifetime Work, as well as cherished family stories, special holiday recipes, and explanations of many of the sacred principles that lie at the heart of the Reality-Way of Adidam. Avatar Adi Da and Naamleela intend this book to be an integral part of the holiday season, which, for devotees, extends from immediately after Avatar Adi Da's Birth Day on November 3, through New Year's Day — culminating on January 11, the anniversary of the Initiation of Avatar Adi Da's Divine Avataric Self-"Emergence". This beautiful book can be placed under your tree, and read and enjoyed each year. Its joy and wisdom serve as a guide for everyone in transforming the winter holidays into a time of intimacy, happiness, cooperation, and light.